UPPCL ARO Recruitment 2017 - 80 Assistant Reviewing Officer Vacancies - Revised notification for 80 Assistant Reviewing Officer, Additional Private Secretary, Additional Private Secretary (Dept.) Posts in Lucknow, Uttar Pradesh on Direct Recruitment Basis. Online Applications are invited by Uttar Pradesh Power Corporation Limited from 14 Dec 2017 to 29 Dec 2017 for 80 vacancies. 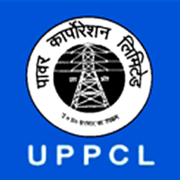 UPPCL ARO/ APS/ APS (D) Answer Key 2018: UPPCL has issued the Answer Key on 17 Feb 2018 for the exam. Answer Key can be accessed from the link given below. UPPCL ARO APS Admit Card 2018: UPPCL has issued the Admit Card on 27 Jan 2018 for UPPCL Assistant Reviewing Officer, Additional Private Secretary, Additional Private Secretary (Dept.) Exam 2018 which is scheduled to be held on 08 Feb 2018 to 10 Feb 2018. Qualification: 1. Graduate Degree from Govt. Recognized University / Equivalent Degree. 2. Hindi Typing Speed 30 wpm on computer. selection will be done on Written Exam & Typing Speed / Computer Knowledge. Eligible candidates may apply online at UPPCL website (direct link is given below) from 14 Dec 2017 to 29 Dec 2017.